I am writing to offer my help. 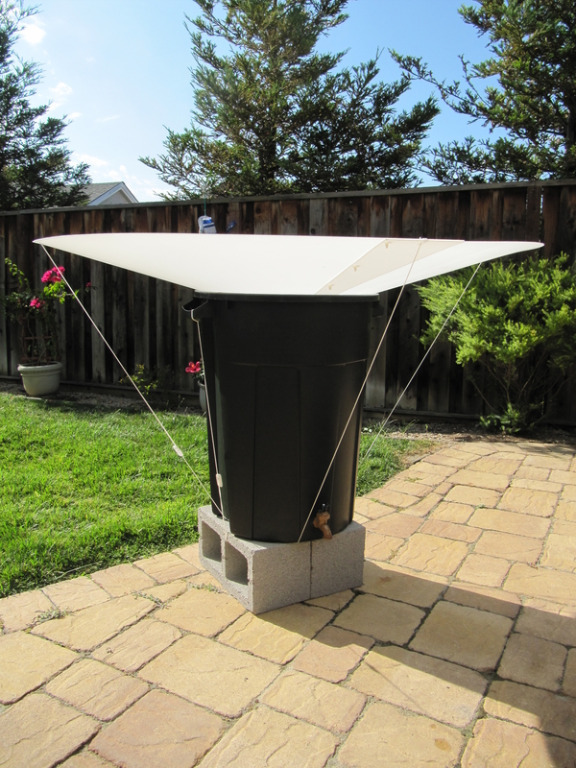 My company makes rainwater catchment funnels called RainSaucers, right here in the USA. 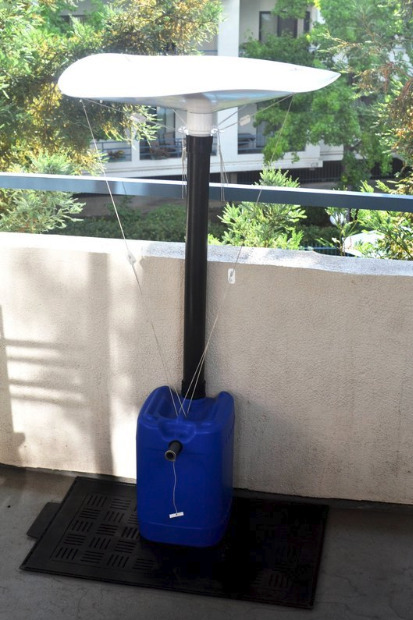 The purpose of RainSaucers is to allow anyone, anywhere to easily set up their own local source of clean water by catching rainwater straight from the sky. Over the 6 years we've been in business, we've sold our product all over the world- mainly to people without access to a clean water or those who fear that access may be compromised. 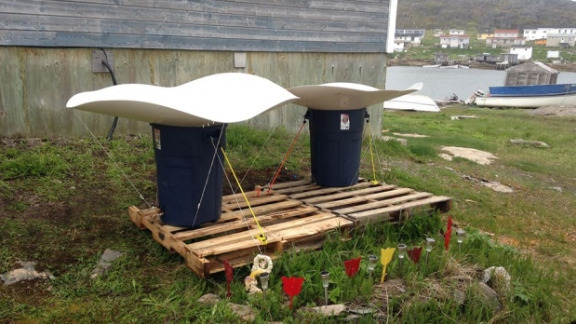 For example, we recently supplied a remote island town in New Foundland, Canada (see photo above) under a pilot project aimed at reducing the problem of residents having to haul water to their homes. I mention our Canada project because in many ways your situation is similar. 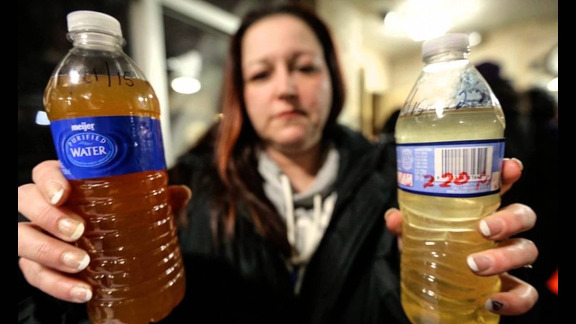 My understanding is that to get clean water, you are now bringing in bottled water which takes up time and gas money. Yet this only serves your drinking and cooking needs and doesn't provide you with enough water for bathing. What you need is a source of clean water that comes in larger volumes right to your home, for as little cost as possible. You need rainwater harvesting (RWH). - Deployment of 2 x 59" RainSaucers, each on a 32 gallon BRUTE or Roughneck container (as we did in Canada). This will collect almost 22 gallons every time it rains 1 inch. Between March and November this should yield an average of 66 gallons per month (based on historical averages for Flint) . - As to the allocation of the 66 gallons, a family of four is likely to use 1/2 of that for drinking/cooking (around a gallon a day) and the other 1/2 for bathing. For bathing, I recommend trying one of those $10 camping bag showers (just bring inside to your normal shower after it heats up outside). I suspect you could get around 10-15 short Navy showers out of your setup each month. 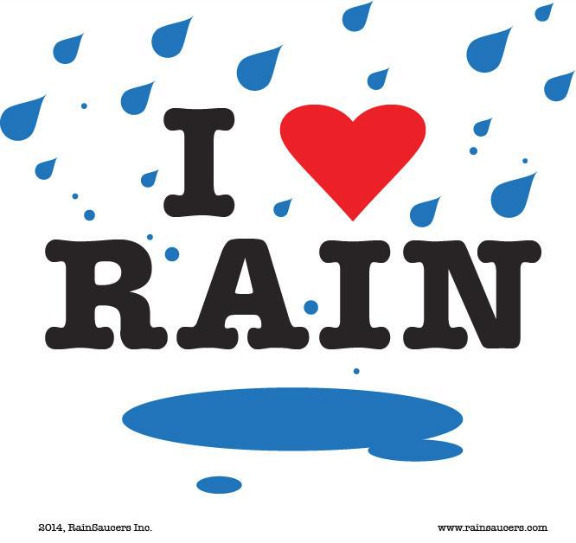 - Rain, as you may know, is pure natural distilled water and 100% potable when it falls from the sky. So the only thing required for drinking, is a method to kill any organisms that may develop while the water is sitting outside. Many of my customers use a Berkey filter for their rainwater but cheaper ones are also available. If the state of Michigan has already provided you with a filter you may be able to use that, provided it also works on organisms. Boiling the water is an option as well as a little bleach or tincture of iodine (see our post on this). * Normally we would charge $180 for the 2 x 59" RainSaucers and the 2 x Faucet kits needed to turn a Roughneck container into rain barrel. But for individual residents of Flint, we will bring that price down to $150 including shipping. Just contact us and mention this letter. * The only other possible budget item for the installation is the cost of getting the rain barrels off the ground (to access the faucet). Two concrete blocks under each unit (see picture) should not cost more than $10. So all in, each household can probably pull this off with a Budget of $200. I understand the State of Michigan has already spent $200 Million on the 50,000 households affected. That equates to $4,000 per household for just a temporary, highly imperfect solution. Even if rainwater harvesting only reduces the problem by half, it would still be 10X more efficient than what the State of Michigan is currently doing. 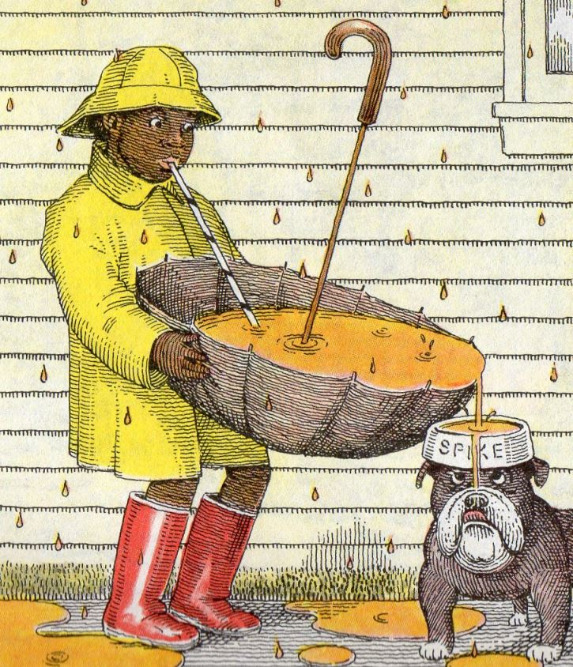 Inventor and Owner, RainSaucers Inc.
P.S. State of Michigan water officials- please don't be afraid of contacting us too. We'd love to work with you on behalf of the residents. On the heels of California's historic drought, this LA area customer wanted to make sure to catch as much of El Niño as possible last Winter. 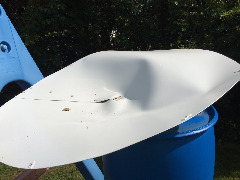 He wrote to us that "Over two days my rain gauge showed 3.2 inches of rain and the 32 gallon trash cans were filled to overflowing." This install was at the nonprofit Ramapo for Children as part of their permaculture program, which is run by young adults with social, emotional, and learning challenges who are participating in a residential transition-to-independence program in order to move on to college and/or employment. Pictured here is there custom 84" unit installation. This photo is from the rural community of Black Tickle in New Foundland, Canada which was suffering from a clean water crisis. RainSaucers were purchased to provide individual homes with their own source of fresh water. This photo came from a CBC New article which provided full detail on the project. How do I install a 2" Bulkhead fitting? 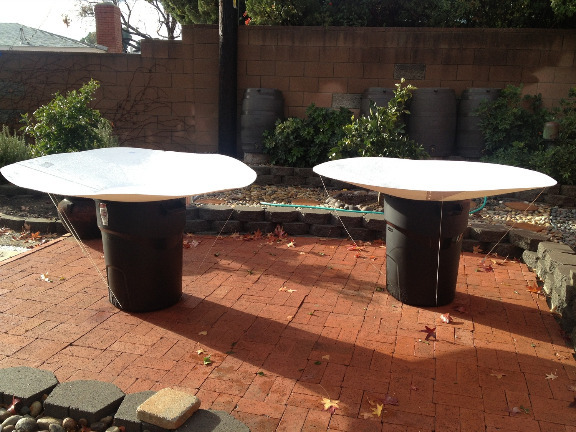 Two of our products (the 48" and 84" RainSaucer) are designed to work only with 2" NPS standard holes. If you're lucky, your 55 gallon drum or 270 gallon IBC Tote already has one built in. If not, you can always add one with a 2" Bulkhead Fitting. If you have a removable lid, bulkhead installation is easy. Just drill a a 3" or 3 1/8" hole in the lid (or cap), insert the Body and Sealing washer (see photo) from one side and screw on the Friction washer and Nut from the other side and you are done. If you don't have a removable lid, you have to find a creative way to keep one half of the fitting in place underneath while you screw in everything else on the other side. For completely closed gallon drums this near impossible so we usually recommend switching to a 2" UniSeal with a 2" Pipe and 2"Female Adapter installed (for the 48" only). For other types of closed tanks, we recommend using the manhole cover to reach your hand inside and hold half of the bulkhead fitting in place while the other half gets screwed on. What's the biggest marketing headache for vendors in the rain barrel and rainwater harvesting industry? Lack of awareness and the persistent myth that catching rain is illegal, especially in the West. We got so tired of proving the legality of RWH back in 2013 we wrote a now widely read post on the topic. 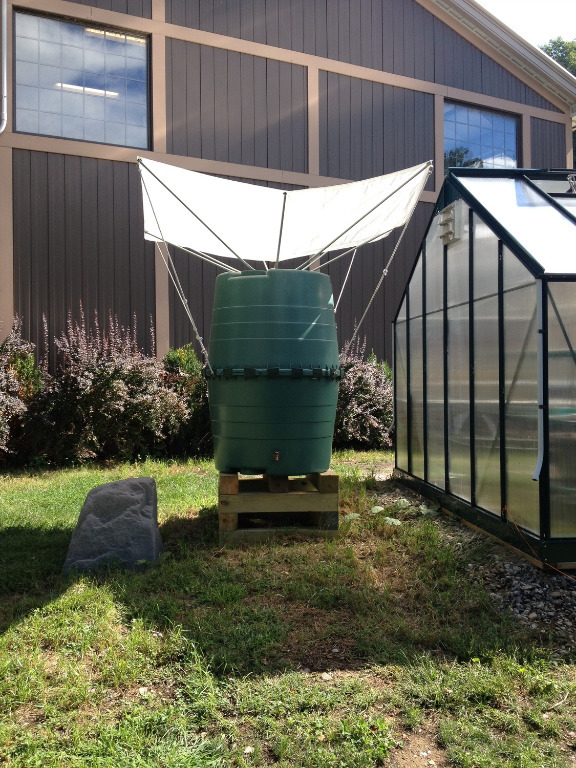 In that original post we talked about Colorado's pilot rain barrel programs and local efforts. But for many Colorado residents that wasn't enough- they wanted a State bill that would fully sanction rain barrels. The result: as of April, 2016 Colorado is now a fully rain barrel friendly State. Gov. John Hickenlooper signed House Bill 1005, which allows a maximum of two rain barrels — with a combined capacity of 110 gallons — at each household. The measure is to take effect on Aug. 10. The Colorado Legislature passed the bill after previously rejecting the measure in past sessions over concerns that household rain barrels would take water from the supply available to agriculture and other water-rights holders. With Colorado's embrace of household rainwater collection, there is no place left in the United States where legality could be in question. Time to put that myth to rest once and for all. Some people simply prefer to build things themselves rather than buy off-the-shelf products. We get that. In fact, many of our Prepper and Gardener customers are natural DIY types that view rain catchment as the DIY alternative to piped city water. And yet these customers still come to us for the rain collector portion of their projects. Why? Because as simple as RainSaucers are they are not easy to replicate with store bought materials. The UV resistant plastic we use in the 48" and 59" versions can only be bought wholesale. Similarly, the base plate we use in the 84" version is a custom job. Still we often get comments on our Social Media posts that our product's functionality can be replicated by other means. The main DIY competitor we hear about is the upside down umbrella on a bucket. We know this concept well because it's where we started. Our first prototypes were upside down umbrellas. But we gave up on that approach because the umbrellas never lasted. The material always ripped, the rod always rusted, and inversion from wind was a problem. Another DIY competitor we hear about is the Boy Scout Tarp method. Again we know the method well as it was the inspiration behind our 84" version. The 84" version fixes the problems associated with the Boy Scout method- namely that normal tarps rip from wind (we use extra heavy weight material) and you can only use it if you have trees as a an anchor. The water inlet on the 84" is also extremely efficient whereas the Boy Scout method usually has a problem with loss of rain catchment. How do I put an overflow hole in my rain barrel? A full rain barrel is a great thing. But it also means you are now catching and then losing precious rainwater. Or worse, you could be creating a home for mosquitoes. That's why almost every rain barrel needs an overflow hole. Simple ones are nothing more than a hole in the side of the barrel (toward the top) that are covered with some glued on mesh screen. More sophisticated ones allow you to send that overflow into an adjacent barrel so as not lose any rain. But adding more water storage can be tricky- namely how do you get that overflow from one rain barrel to another? Over the years we've learned that the easiest solution is to drill a hole in the side of the barrel (toward the top) and install a grommet that hugs the hole while allowing a pipe to be added. 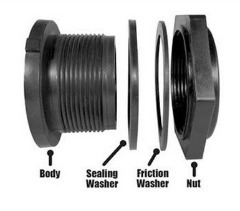 The brand name of the grommet we use is called Uniseal. 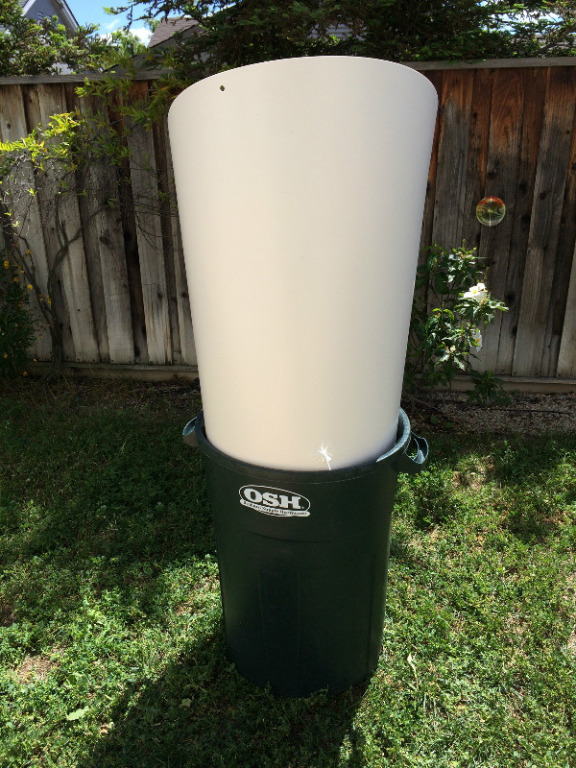 Uniseals come in a variety of sizes but for rain barrel overflow, it does not have to be big. 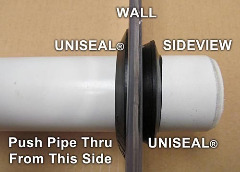 Once a Uniseal is installed and the pipe added (see picture) you now have a means of taking overflow from one barrel to another. This can happen at the top inlet of the second barrel (assuming the second barrel is shorter that the first) or at the same height into an appropriately sized hole in the second barrel (the hole should have space for the pipe only). We would be remiss if we didn't mention that one alternative to an overflow hole is to daisy chain the bottom holes of the rain barrels. This allows for simultaneous fill up of two barrels. This article describes how one can do that.